Cloud Foundry helps you modernize existing applications today and start your cloud native transformation for new applications. Interested to learn how Cloud Foundry projects are integrating Kubernetes into their technology? Learn about Cloud Foundry Container Runtime (CFCR), CF Containerization and Eirini, meeting DevOps teams’ need for the simple, agile and flexible delivery of software packaged into containers. Application developers and operators can choose from two open source runtimes, as well as many projects to support and extend them. Update your cloud native and container Paas skills with Cloud Foundry training! Cloud Foundry's ecosystem provides a full range of solutions to end users. "The Foundry" is our online marketplace for those just getting started or who want to expand their use of the platform. If you have a solution or service based on Cloud Foundry, we invite you to submit for inclusion in The Foundry. The Cloud Foundry community is diverse and inclusive of all people, and respectful and committed to listening to thoughtful and honest perspectives. To ensure we maintain a welcome and thriving environment to collaborate, we’ve come up with some general guidelines for community participants. Meet fellow CF users, share what you are doing, and learn from others at dozens of events worldwide including our flagship Summits and Cloud Foundry Days. The cloud native event to learn, network, innovate, and engage with peers and the community. Join the Cloud Foundry Foundation to build the future of open source, whether you’re using, selling or creating technologies to empower enterprises to go cloud native. More and more, businesses are employing a polyglot (and a multi-platform) strategy to meet their exact needs. The flexibility of cloud native practices enables this movement away from a monolithic approach and towards a world of computing that is flexible, portable and interoperable. Adopting a multilingual approach is yet another step towards improving a business’ velocity—when it comes to development, production and capital. 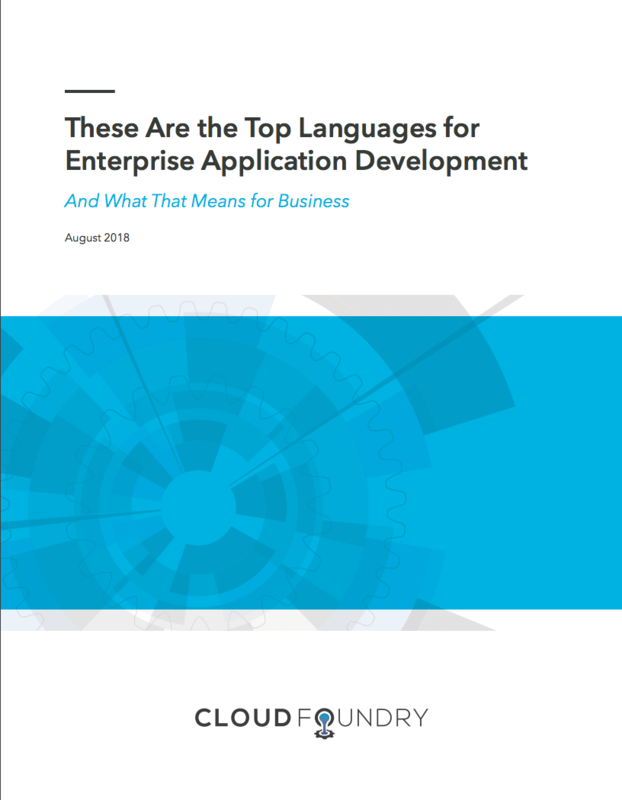 Through years of industry research, Cloud Foundry Foundation has tracked the languages used most frequently for application development among enterprise developers worldwide. While there is consistency among which languages are the most popular across the enterprise developer landscape, there are certain languages which are particularly dominant among specific audiences—based on region, company size, and more. © Copyright 2019 Cloud Foundry, Inc. All Rights Reserved. Hello visitor! Did you know we have a Chinese-language version of our site?